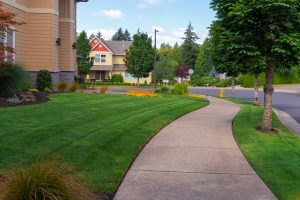 Everyone wants a healthy green yard during the spring and summer, and it’s what you do now that helps you achieve this goal. Some people believe that their yard is beyond hope or they don’t have the skills to take their yard from drab to beautiful. The good news is that it’s not impossible to get a yard that’s the envy of your neighbors. You just need a few lawn care tips, and some professional assistance, to get you started. Ask any lawn service in Atlanta and they’ll tell you that healthy grass needs nutrients. If you want to jumpstart spring green, try adding premium blended fertilizer to your lawn. Fertilizer gives powerful nutrients to your grass, for healthier growth, greener leaves and blades, and even faster plant growth. This is especially important for spring grass, which is slowly recovering from the winter chill. Slow-release fertilizer will enrich your lawn over a long period of time, for sustained lawn health. Try using liquid or dry fertilizers that are formulated for lawns in your area, which have specific climate-related conditions and needs. Fertilization can be confusing — where do you start or how does it work? But you can hire professional lawn treatment services to manage and provide your lawn’s fertilization needs. Weeds are the enemy of a healthy lawn. But who has time to search your grass and pull weeds one-by-one? Instead, work smarter and hire professional lawn care services to offer pre-emergent and post-emergent weed control. The former refers to methods that prevent the growth of weeds like spring crabgrass; the latter refers to working on weeds that have already sprouted and are stealing nutrients from your lawn. Weed control keeps your grass, trees, and shrubs looking healthy and prevents ugly, spontaneous growth of unwanted, unsightly plants like crabgrass. It’s important to get on top of weed control now, because many weeds germinate and grow in the spring. Protecting your lawn also means caring for larger plant life, like your trees and shrubs. They may be larger than grass, but they can still be delicate. Feed your trees and bushes now for a vibrant spring display tomorrow. This is especially necessary for flowering plants that need plenty of healthy nutrients. Professional deep root fertilization services target larger plants in your yard, injecting custom blended nutrients down to their deeper, fuller roots. Tree and shrub fertilization offer plenty of benefits, including stronger root development, hardiness against inclement weather, and a brighter green appearance. What if you’re not inclined to do this work yourself? That’s no problem. 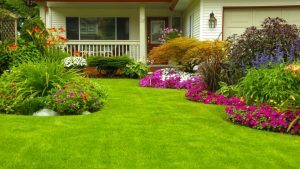 There are plenty of companies that offer full-service lawn care in Atlanta to help you prepare your yard for spring and summer. Leave weed control and prevention, soil fertilization, and other lawn care services to TurfPride. Leaving your lawn in their hands means trusting in a professional team to improve your lawn, develop healthy tree and shrub roots, and ensure lush, green grass this spring and summer. If taking care of a lawn seems tough, that’s because it’s far more scientific than you might think, but TurfPride has the expertise to get to the root of your lawn care woes. To learn more about lawn treatments, contact TurfPride Incorporated today.